Weatherproof, durable and flexible acrylic sealant. Suitable for internal and external application on both metal and wooden windows and doors. Can be used internally only on PVCu door frames and windows. Can be over painted with most emulsion and oil based paints. Virtually odour free and not corrosive on metal. Fully weatherproof when cured, this time is extended in cold conditions. 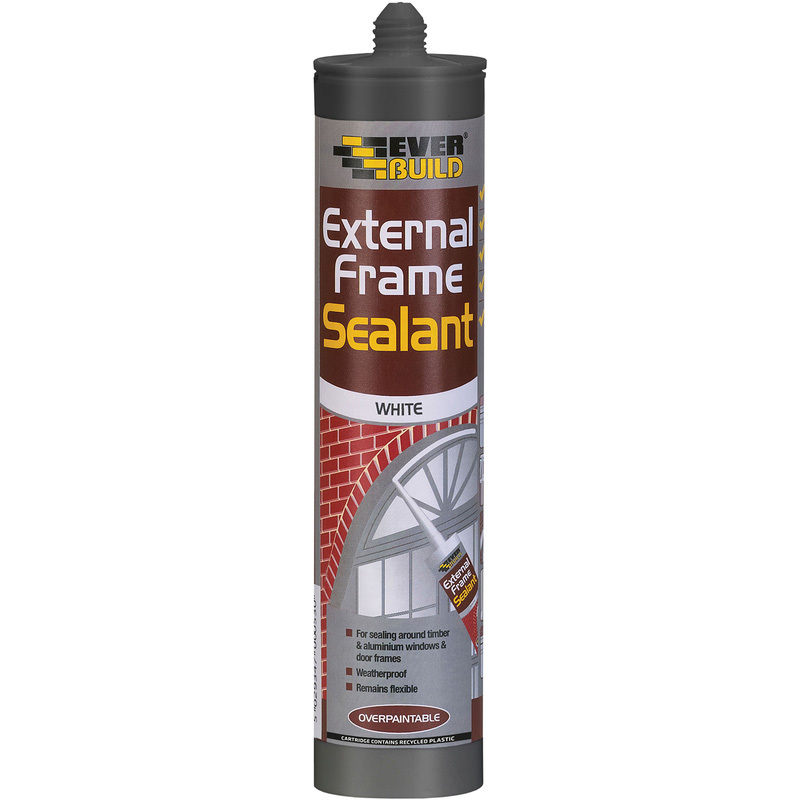 Window & Door External Frame Sealant 300ml White is rated 4.0 out of 5 by 28. Rated 5 out of 5 by david70 from good stuff Bought this to finish job that useless installers were not capableof doing now doors and windows look great. Rated 1 out of 5 by RickyDooDah from Horrible, had skinned over within 20 seconds This was horrible to apply, I did a 1m length, went to smooth it off and it had already skinned over. Manufacture date less than 1 year so should have been ok. Has done the job but it’s not very neat. Rated 5 out of 5 by IWRLTD from Quality frame sealant A great price for quality frame sealant. Rated 4 out of 5 by Poohs from Watch the colour Good quality at a very good price, but watch out for the colour. It's a very light brown. I was expecting it to be much darker, more like the colour shown on the cartridge. It's over paintable so for what I needed it was fine. Rated 4 out of 5 by John 1964 from Just the job I needed a dark brown frame sealed, so what could be better! Rated 5 out of 5 by Plumbalina from does what it says it will. GREAT sealant Great job done, all sealed and water tight. Rated 5 out of 5 by Golf Alpha from EXTERNAL FRAME SEALANT Great product, great price and great service.